Police were called to a surgery being held by Edinburgh South West SNP MP Joanna Cherry in Colinton Library after a man allegedly became aggressive. Ms Cherry was accompanied by her parliamentary aide at the time. It is understood no weapon was involved and there was no violence. The man is understood to have called at Ms Cherry’s constituency office the day before and been told of surgery times. Police made an arrest and Ms Cherry continued with her surgery. 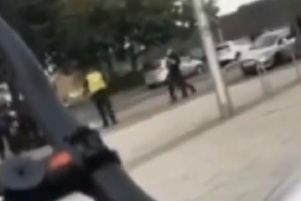 A Police Scotland spokeswoman said: “Police in Edinburgh have arrested and charged a man with a breach of the peace after being called to Thorburn Road around 11.45am on Friday.